Photo 1: Mow fencelines now to minimize deposits to the weed seed bank. Photo: Jared Goplen. As summer field activities wind down, harvest will soon be in full swing. Take the time now to mow fenceline weeds to prevent or minimize seed production. Fencelines are often where weed infestations start. 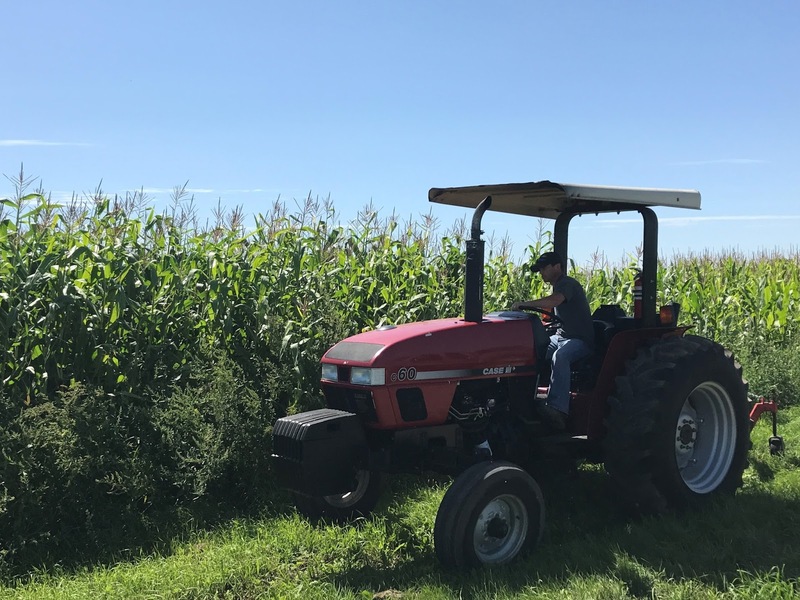 By eliminating fenceline weeds, we prevent combine harvesters from picking up weed seeds from the field edges and pulling them into the field, where they can be further spread by harvesting and tillage equipment. Most weeds common to corn and soybean fields are in the flowering and seed development stages of their life cycle. This means that there is still time to control some fenceline weeds before they are able to produce viable seed. Viable seeds may have already been produced by early-maturing broadleaf weeds like lambsquarters, kochia, and redroot pigweed, but later-maturing weeds like giant and common ragweed have just begun pollinating in many areas of Minnesota. Waterhemp and other pigweed species are able to produce viable seed within 10 days of pollination according to University of Illinois research, so it is important to control weeds soon after they begin flowering. What if seeds are already present? Is it too late? In scouting fenceline weeds, you may find some of the earlier-maturing weeds like kochia or redroot pigweed that have already produced seed. Although seeds are present, they may have less viability now compared to when they reach maturity in the next couple of weeks. Research conducted at Michigan State University and the University of Delaware has found that terminating common ragweed, common lambsquarters, giant foxtail, jimsonweed, and velvetleaf before weed seeds reach maturity can reduce inputs into the seed bank by 64 to 100 percent. 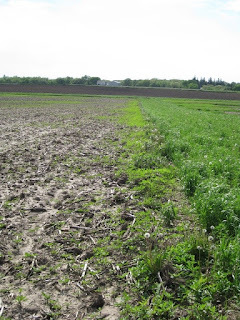 Although it is best to control fenceline weeds before seed production occurs, mowing weeds while seeds are still developing can drastically reduce viable inputs into the weed seed bank. Giant and common ragweed are likely still pollinating in many areas of Minnesota. While there may be some immature seeds that are starting to develop, seeds are still likely unviable, making it a great time to control giant and common ragweed in fenceline areas. Photo 2: Fencelines are a great way for weeds to move into crop fields. Fenceline weeds were not controlled the previous year in this field and herbicide-resistant giant ragweed is now spreading into the field. Photo: Jared Goplen. Mowing weeds now will also prevent weed seeds from getting picked up and run through the combine harvester. Combine harvesters are great at spreading weeds across the field, and by mowing weeds now we can prevent some weeds from entering the combine altogether. If fenceline weeds are not mowed now, consider harvesting around weedy fencelines this fall to prevent spreading weed seeds throughout the field. 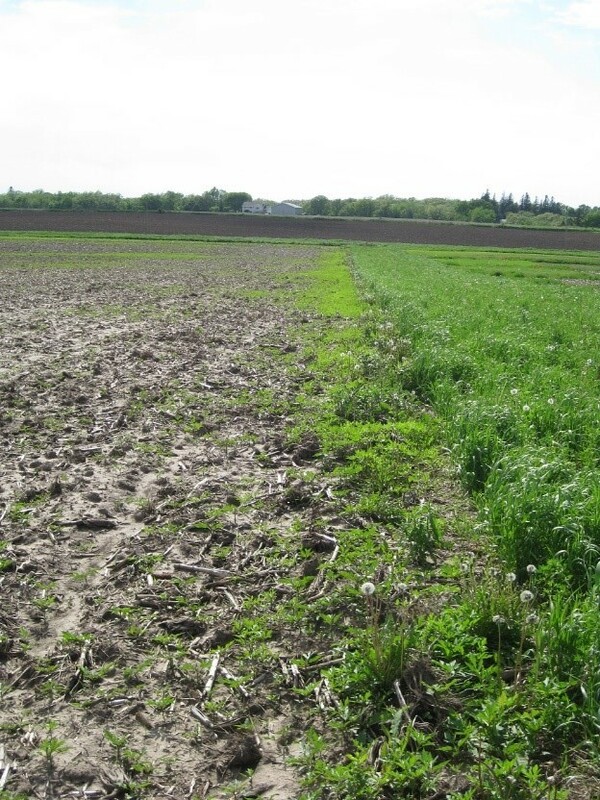 The recent rains and cooler temperatures have favored significant weed growth in field edges and fencelines. Since combines, tillage equipment, wind, and rain can all contribute to weed seed movement it is important that farmers assess late summer weed growth and do what they can to limit weed seed production. 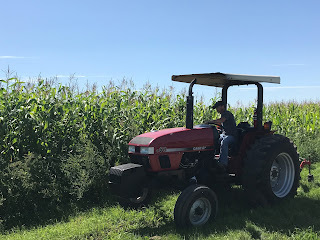 The window for reducing weed seed production via mowing is rapidly closing, but farmers are encouraged to do what they can to get a better handle on the weed seed bank, and prevent fenceline weeds from moving further into the field.